Crafted from soft nappa leather in our graphic Intrecciato Chequer workmanship, this compact bi-fold wallet features a leather interior and subtly embossed branding. 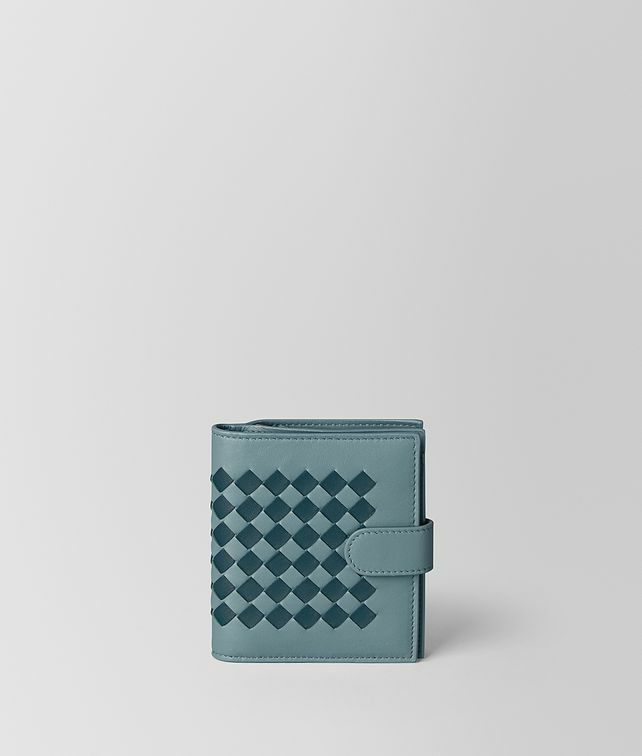 It is fitted with a note compartment, eight credit card slots and a zip pocket for coins. Height: 11 cm | 4.3"